Having lived in Totteridge and Dollis Hill for some years, Stella was tired of all the green, and wanted to move to somewhere more urban! 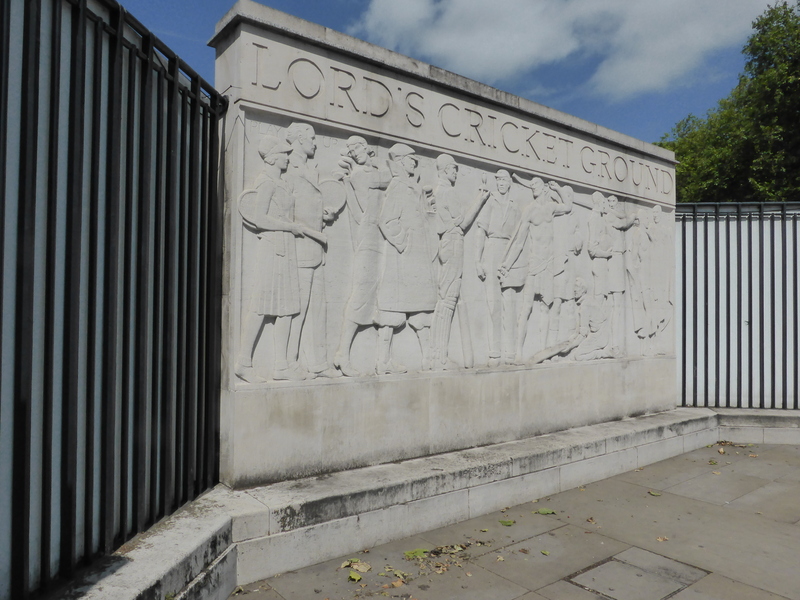 She adores cricket, so Lord’s was a definite draw. St John’s Wood also has very good transport links, down to the West End for opera and concerts. 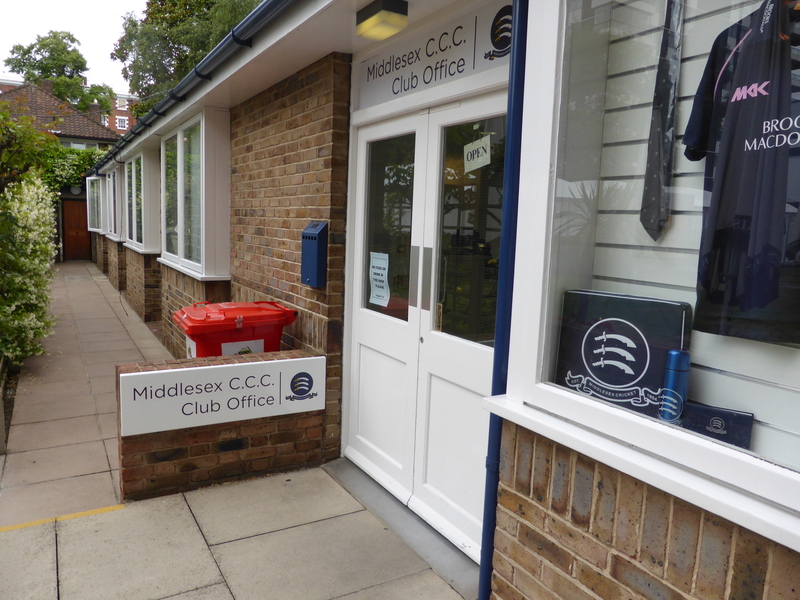 25 years ago Stella was part of the Seaxe committee of Middlesex Cricket Club. They are the official supporters club for Middlesex cricket and give awards at a junior cricket festival as well as providing sponsorship to young county professionals. 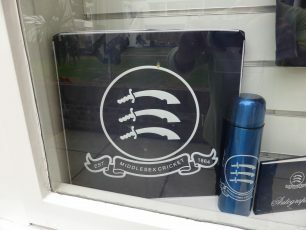 They have a box at Lord’s every now and again when Middlesex are playing. Stella made tea and cake for those meeting in the box, charging 50 p for tea and 50 p for cake. These were made by herself, or friends, or family. She did this every year. The money she made in profits went towards the fund for training promising youngsters who could not afford all their own expenses. 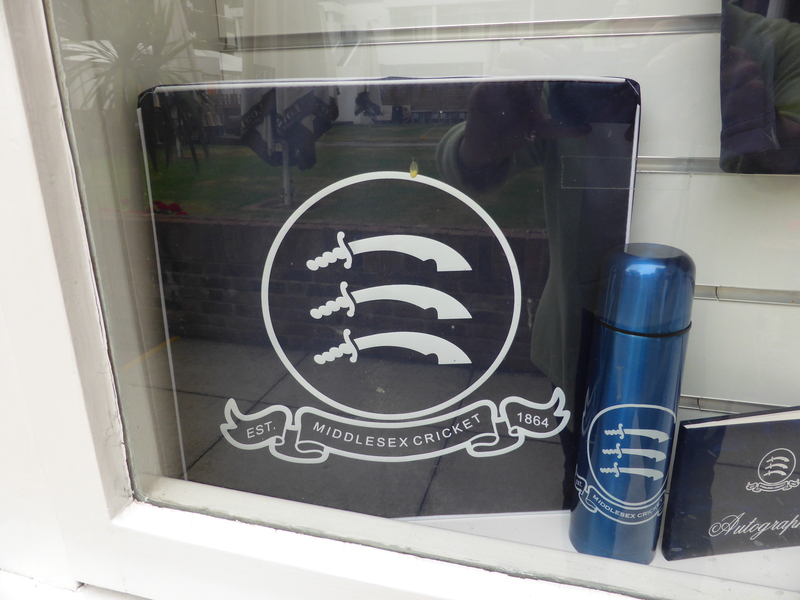 For her 90th birthday, Stella was invited to a celebration in the Long Room at Lord’s and on the score board they flashed up “ Seaxe Committee 1st innings Lucas S. 90 Not Out” Both Stella’s brothers loved cricket and her husband, Victor, too. 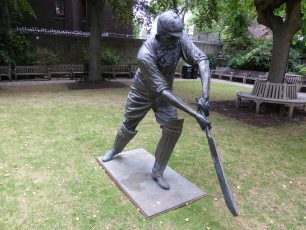 He was a long term member of the MCC and would have been next in line to get his name on a chair at Lord’s, but sadly died just beforehand. He was president of the United synagogues and a founder chair of the British Property Federation. Earlier in her life Stella had volunteered at the Stepney Settlement which looked after old people and helped with Meals on Wheels. Stella is Jewish herself, and now goes to the orthodox synagogue in Grove End Road. She thought that she could start something for Jewish causes in the same way that Oxfam helped others. 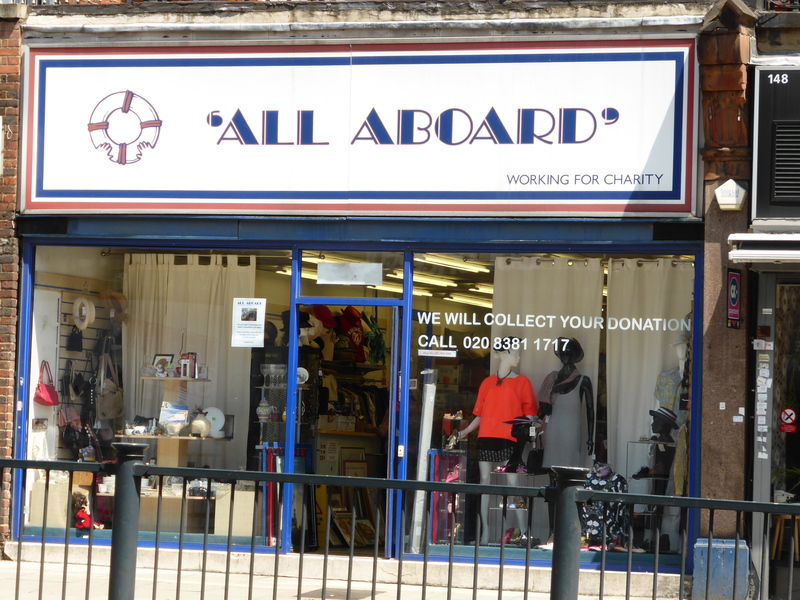 She is the founder and Life President of All Aboard Ltd shops which donate money to Jewish charities. Stella started with two friends, volunteers Monique Landau and Trudie Reiss, in premises where the O2 is now. A kind friend advanced the money for the first rent, which she paid back within two weeks. She phoned round all her friends and soon had lots of items to sell as her family is well known in the community. The Board of Deputies of British Jews agreed to stand surety at the bank if she needed a loan. Her husband was vice president and the future director of All Aboard, Jeffery Pinnick, was the treasurer of the Board of Deputies. 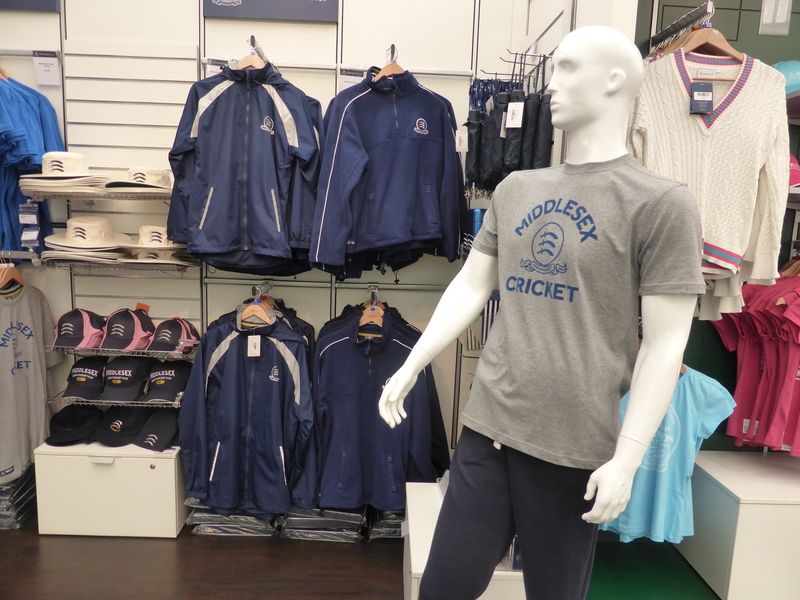 The shop needed cash for things like hangers, price tickets and bags. But Stella has never needed to take them up on the loan offer. They always got loans when they needed them. 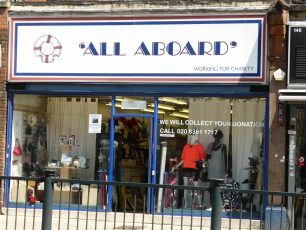 There are 19 All Aboard shops now. Head Office is at Stella Lucas House in Edgware and the closest shop to St John’s Wood is at 150 Finchley Road opposite the O2. When she got her MBE her photo was displayed in all of the shops. Stella is a pillar of the local community, involved in luncheons for the elderly, friendship clubs, the Good Companions and so on. She goes to Steady and Stable exercises at Barbara Brosnan house. Sadly, she has to attend St John and Elizabeth Hospital frequently because of her poor health. They are marvellous to her. But she still has time for her community work. Her life has been dedicated to public service. This page was added on 09/07/2015.